Solatube Daylighting Systems use a proprietary capture-transfer-delivery process to deliver natural light to places that were once thought impossible. Solatube products combine patented technologies with progressive engineering for daylighting that delivers a superior blend of illumination intensity, thermal performance and light consistency. The groundbreaking SkyVault Series delivers massive amounts of daylight in high-volume spaces. By mixing and matching modular components, you can increase light capture, focus light output, dim to near complete darkness, and reduce thermal exchange… all in one system. The SolaMaster Series is a versatile line of tubular daylighting devices that captures natural light at the rooftop and transfers it into building interiors where daylighting has rarely been possible. These systems feature patented optical technologies that deliver highly predictable light levels, allowing them to be used in commercial daylighting design applications similar to traditional lighting equipment. A wide variety of options allows the potential to design the ideal daylighting system for any space. After we designed our original residential daylighting system, we realized it had great potential for commercial applications like corridors, storage rooms and small offices. 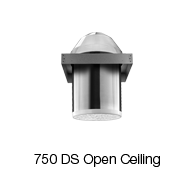 The Solatube Brighten Up Series is a line of tubular daylighting devices that features Raybender Technology, a patented optical innovation built into our rooftop domes. With it, our systems effectively capture the sun’s rays at the roof level, then transfer them indoors through our highly reflective Spectralight Infinity Tubing. They can be used individually or in multiple configurations to attain predictable lighting results in interior areas. They also can be used to create specific architectural effects like wall washes and soffit lighting. 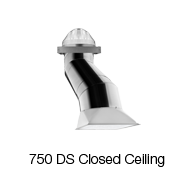 The Brighten Up Series is a brilliant solution for medium spaces with ceiling heights up to 10 ft.